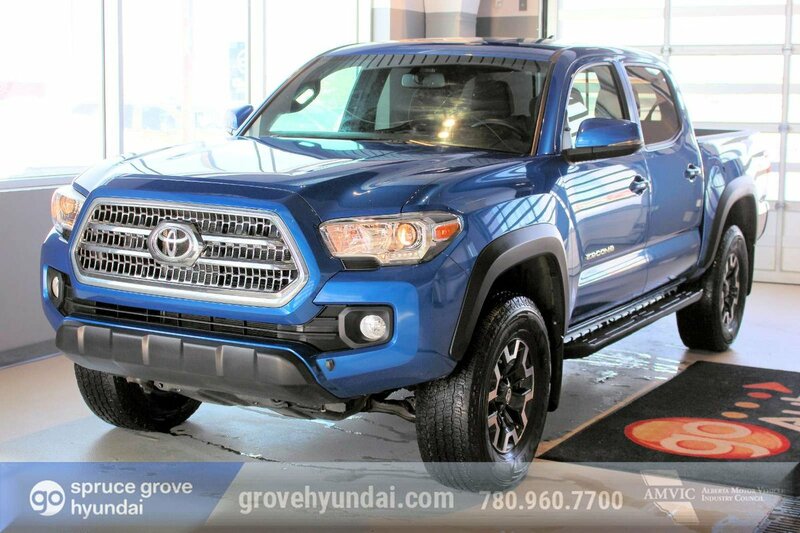 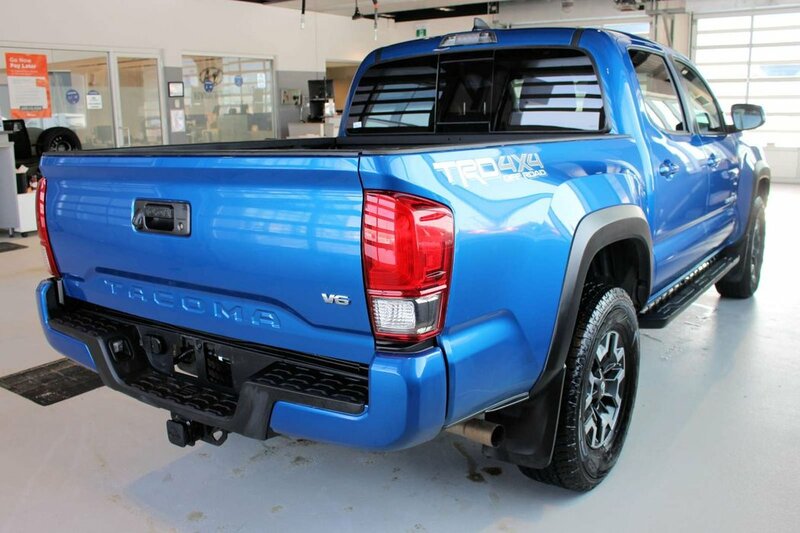 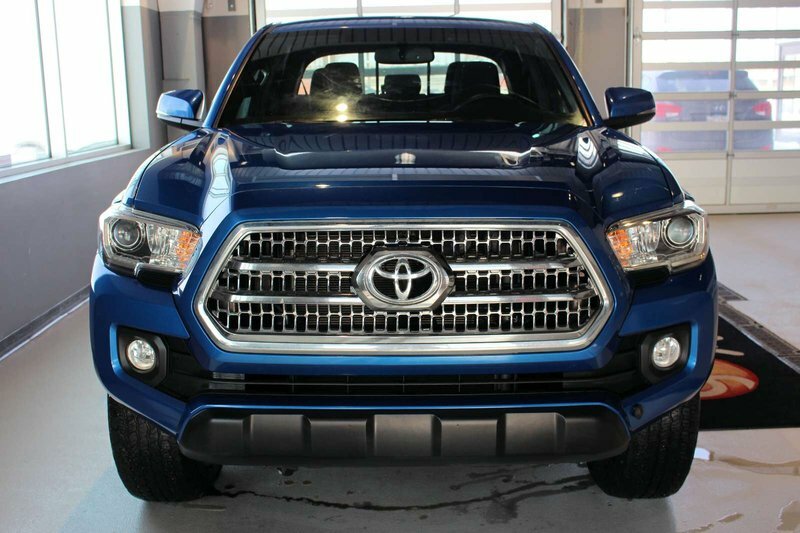 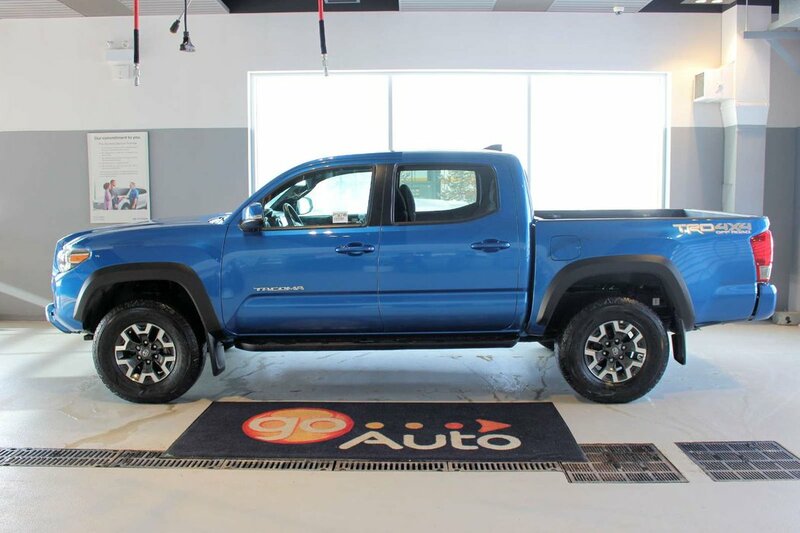 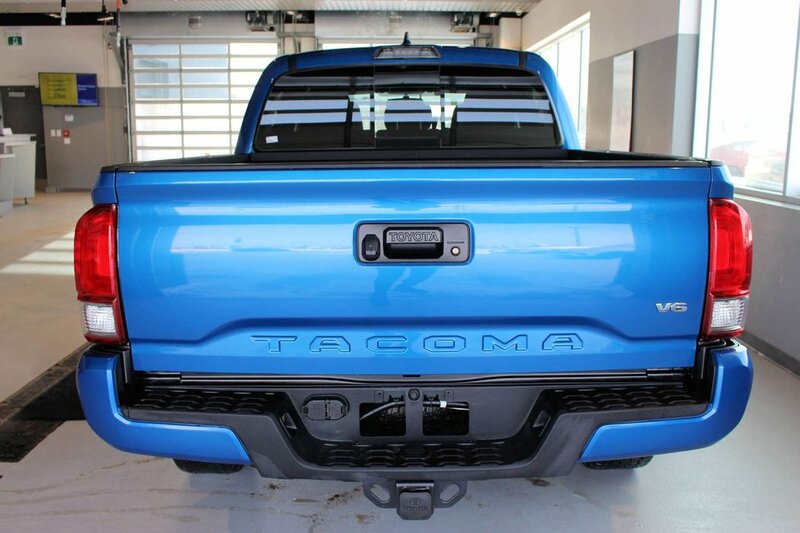 Up your game with our 2017 Toyota Tacoma TRD Sport Double Cab 4WD that's bold and brawny in Blazing Blue Pearl! 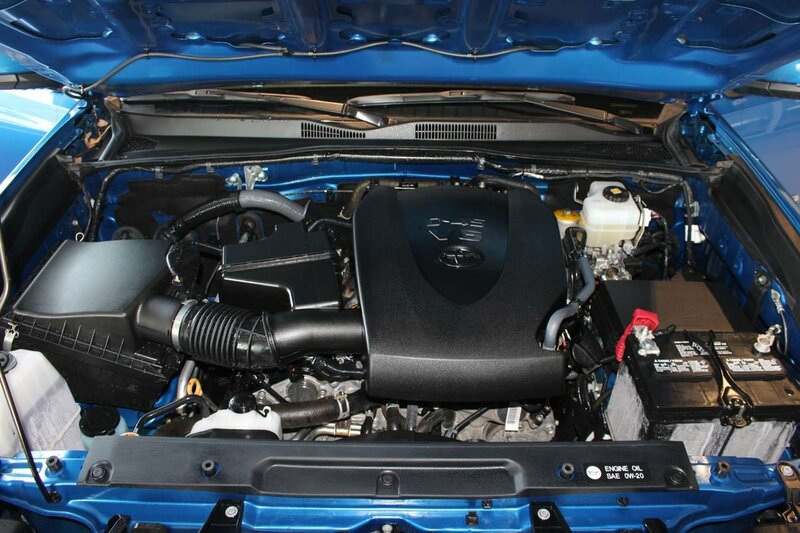 Powered by a proven 3.5 Litre V6 that offers 278hp while matched to a 6 Speed Automatic transmission for easy towing or passing. 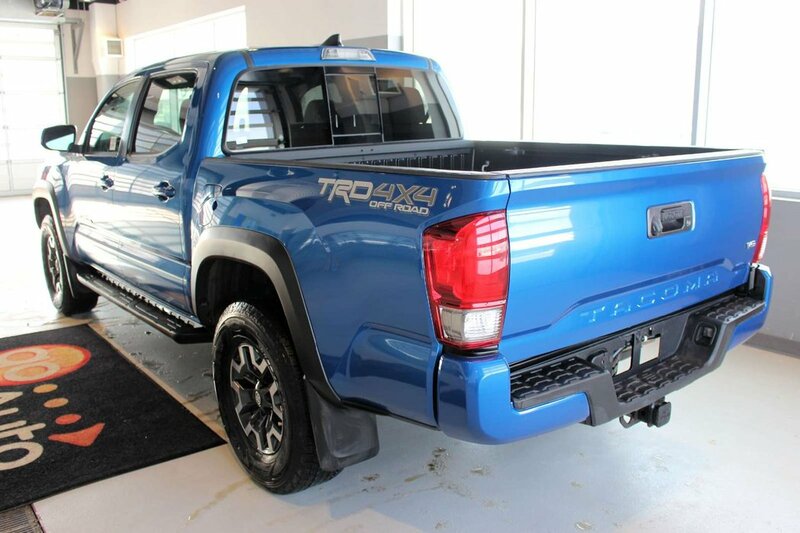 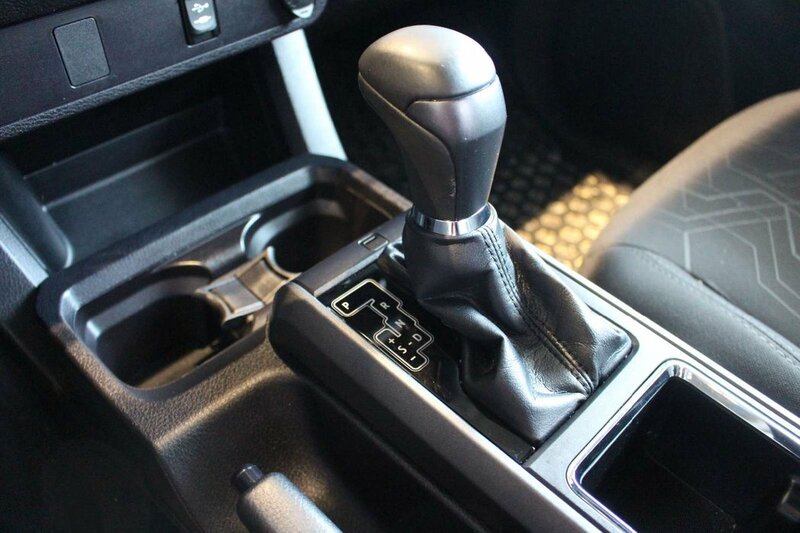 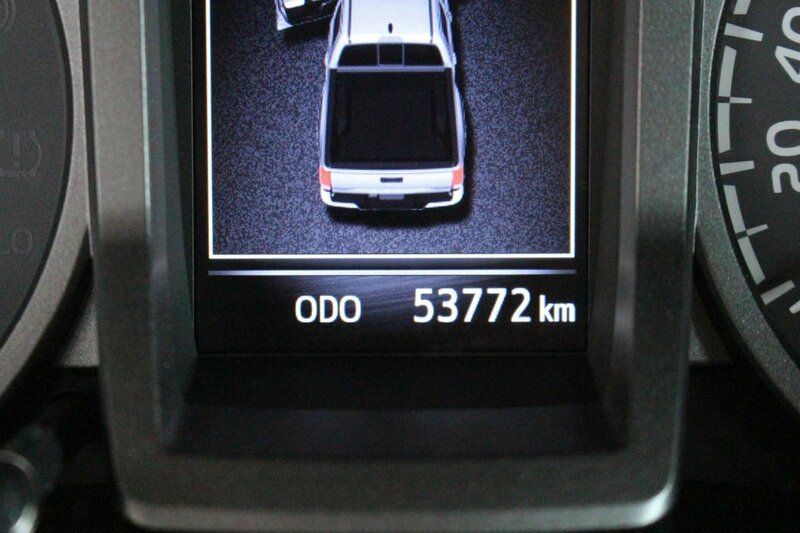 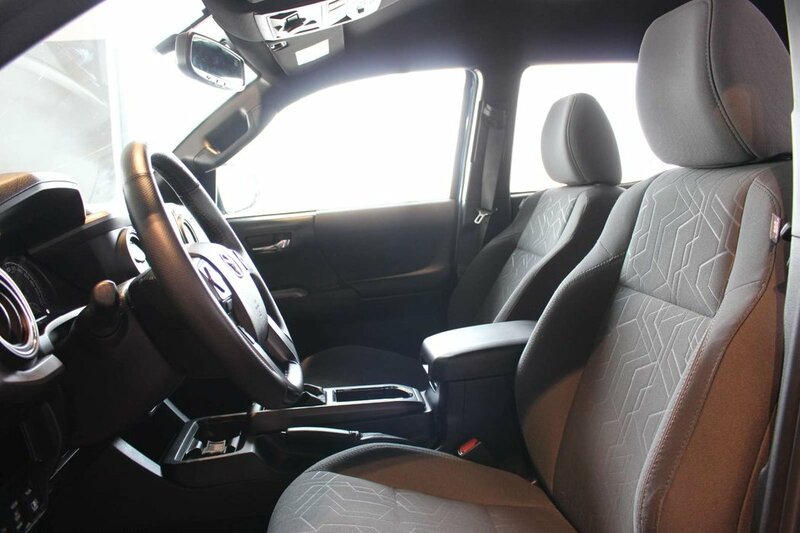 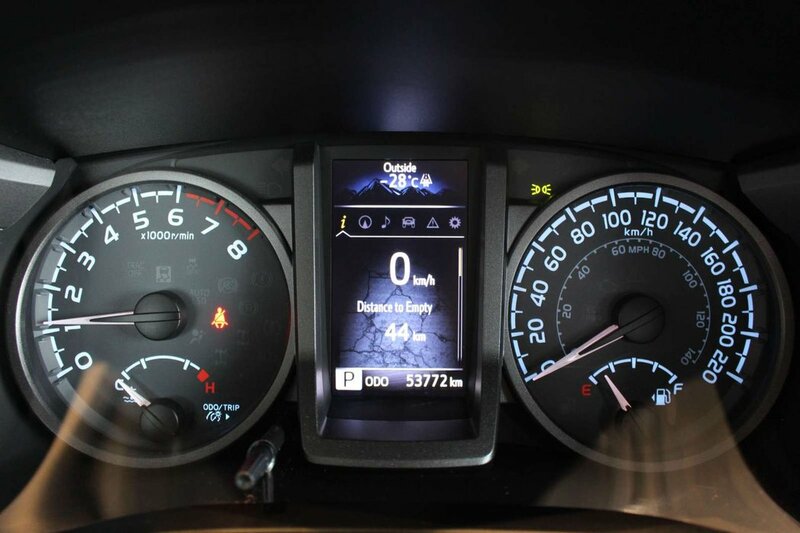 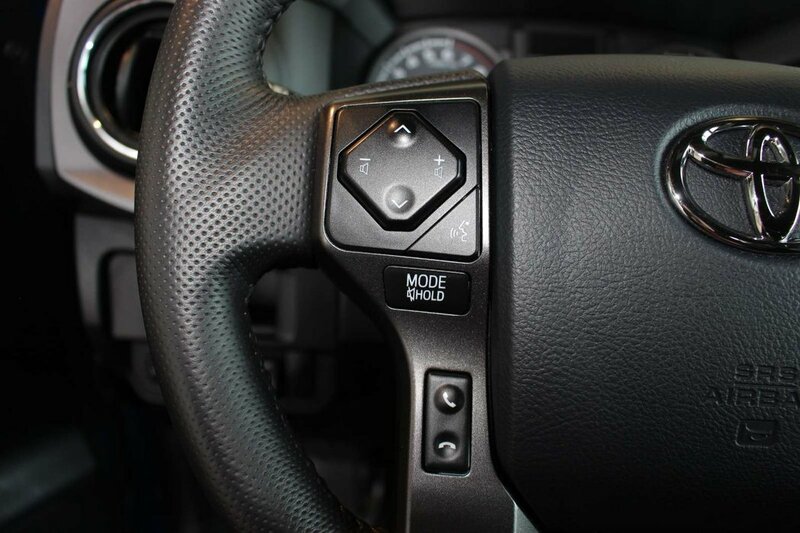 You'll love how you feel behind the wheel of this Four Wheel Drive with brisk acceleration, the power to tow/haul, and near 9.8 L/100km on the open road. 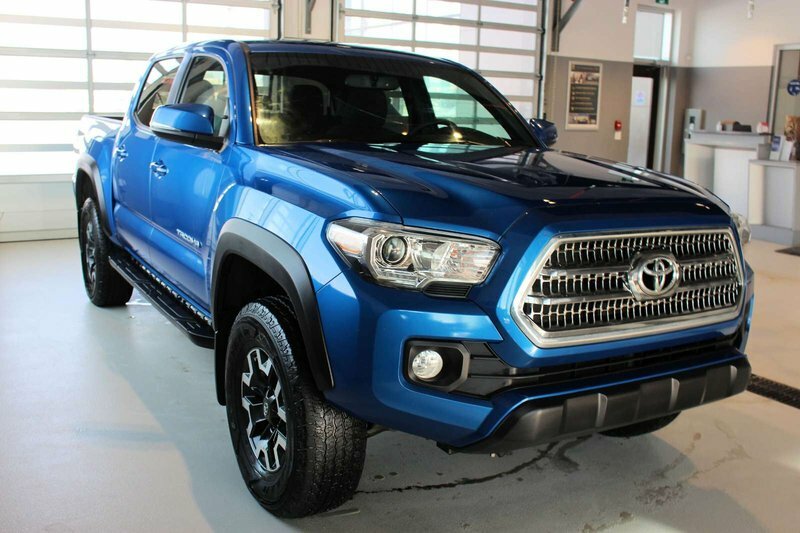 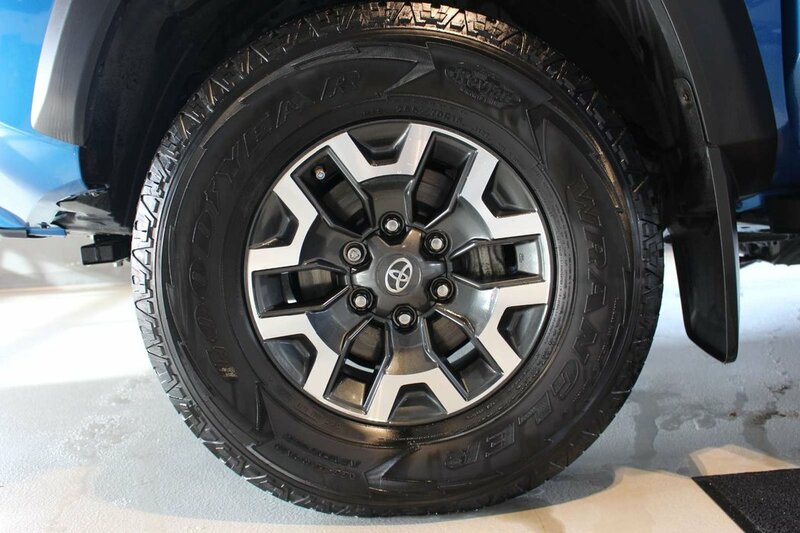 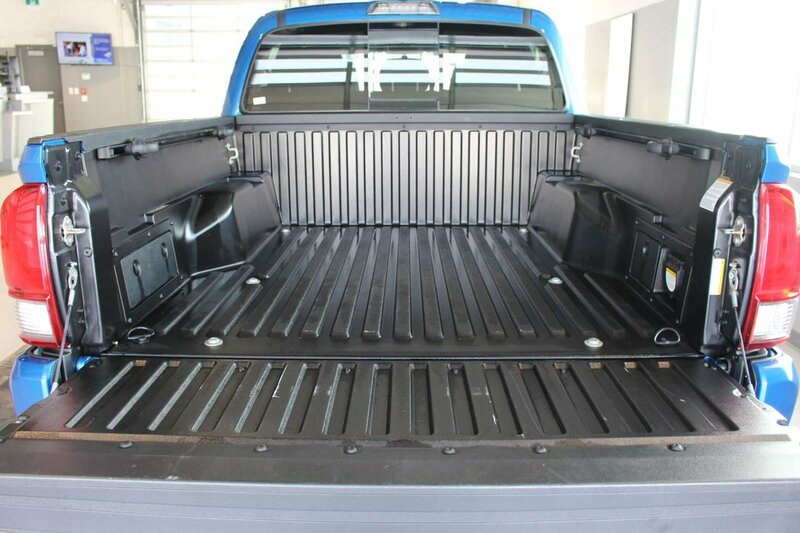 The ideal size, our Tacoma TRD Sport looks tough-as-nails with its muscular fenders, LED daytime running lights, composite bed with a 120v power outlet, a bed liner, running boards, and distinct wheels. 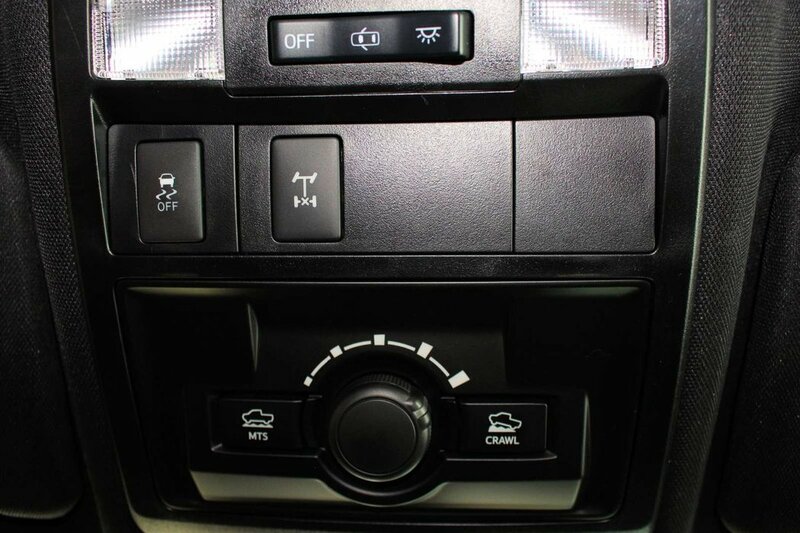 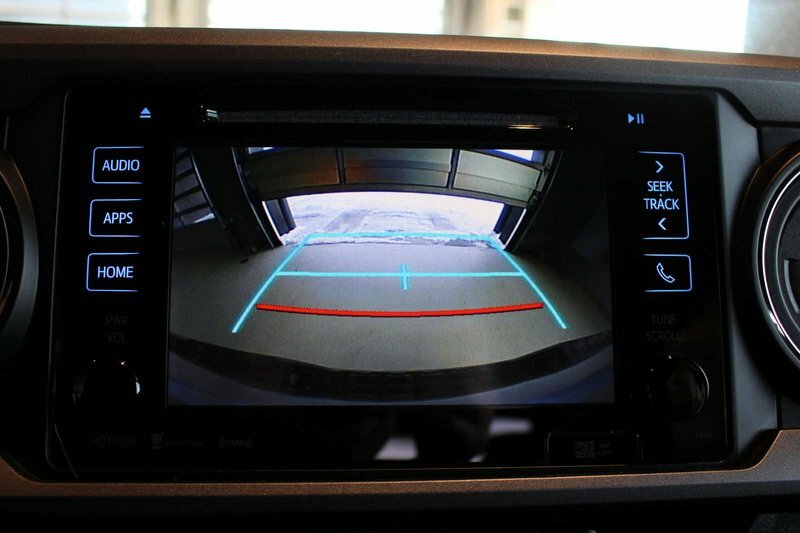 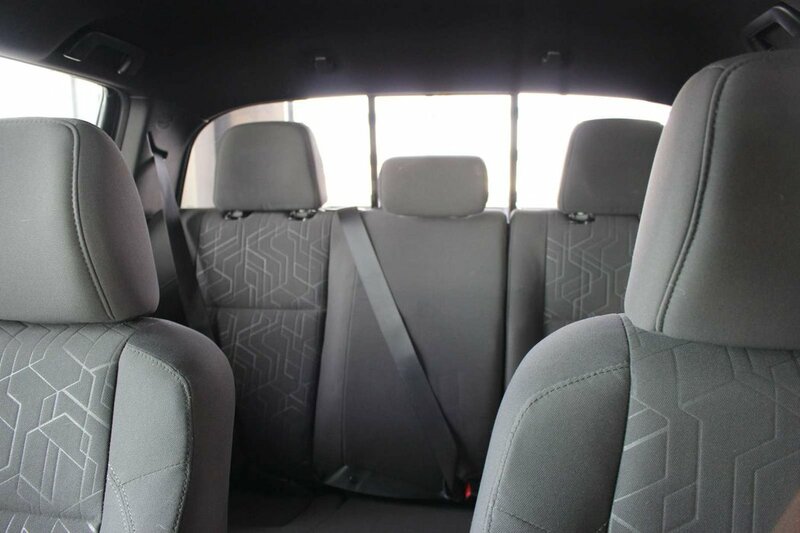 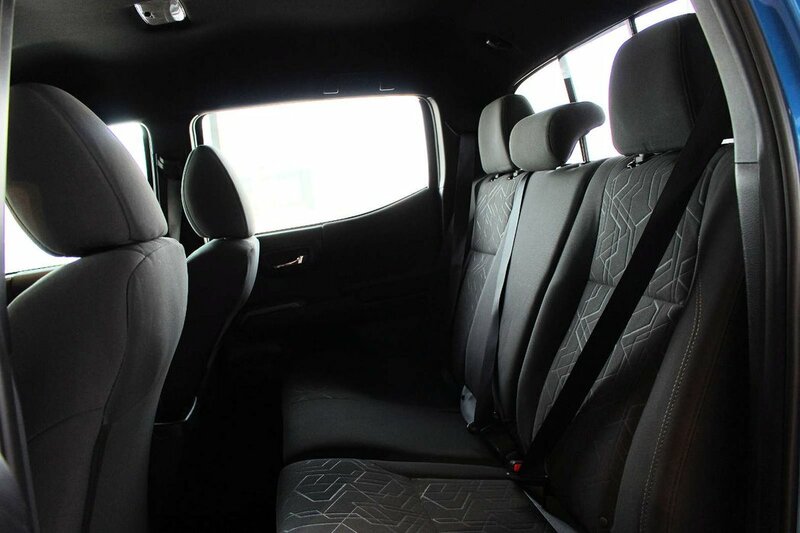 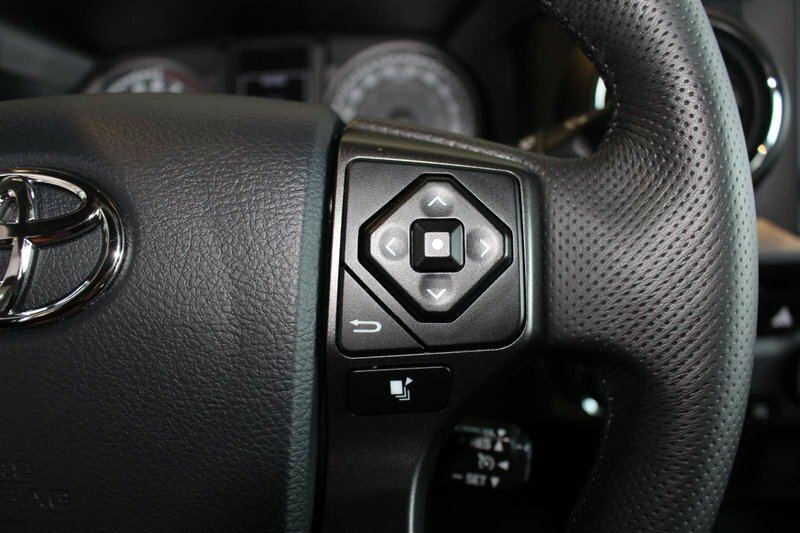 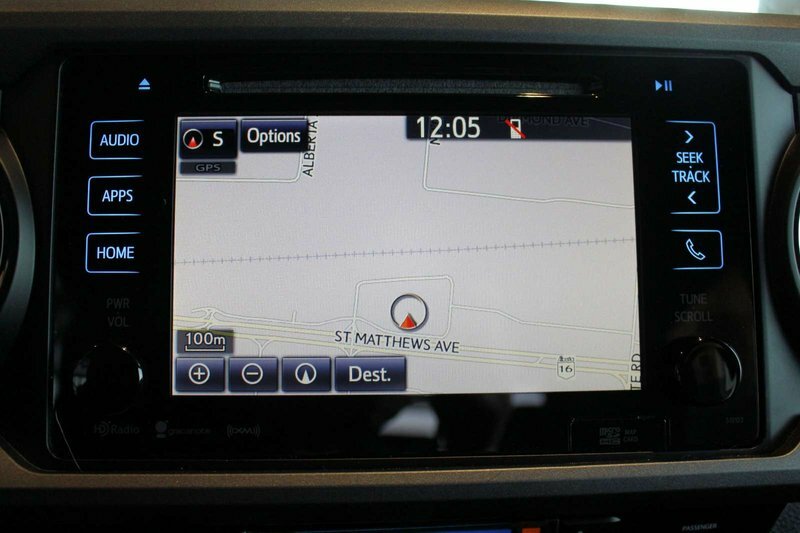 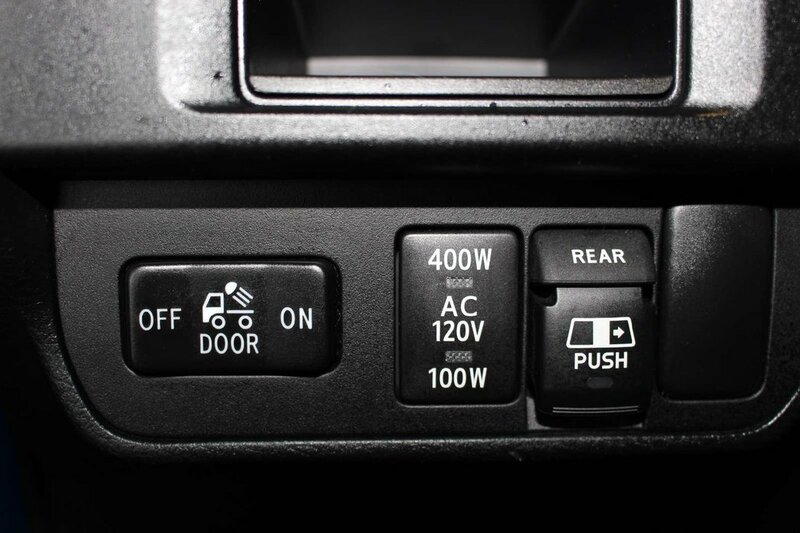 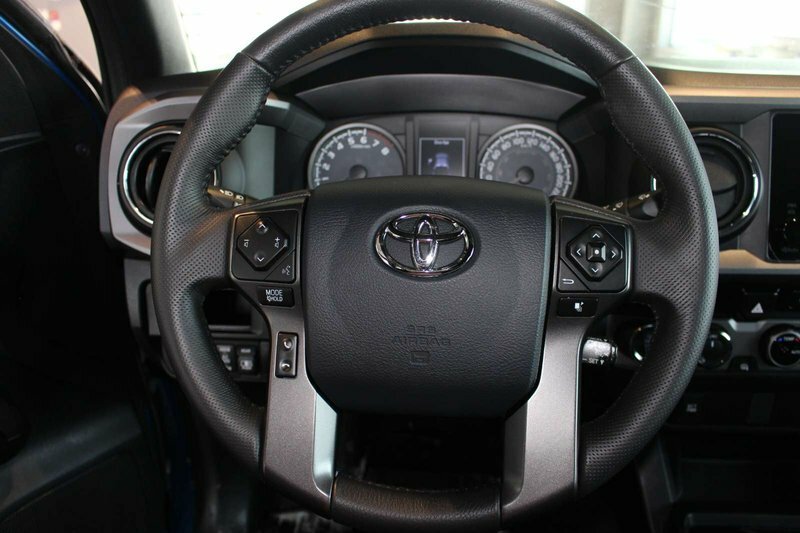 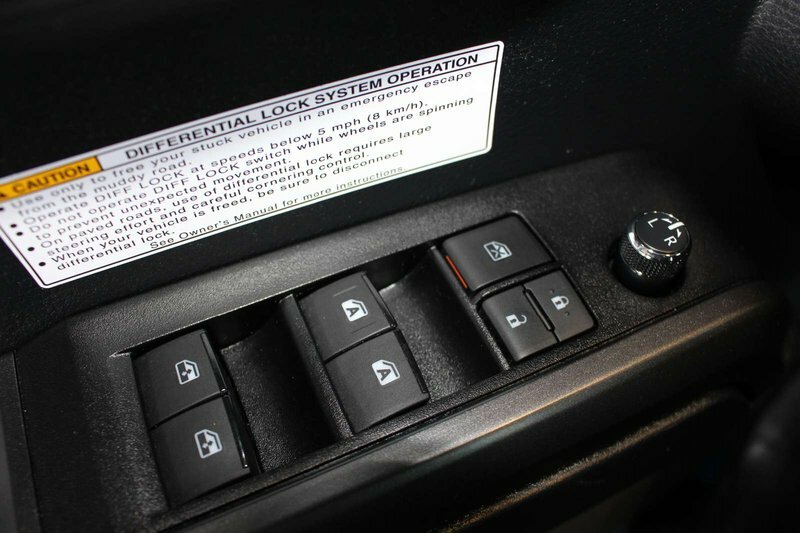 The TRS Sport cabin is ready for action with push-button start, a multi-information display, power windows/locks, a power sliding rear window, and an integrated backup camera. 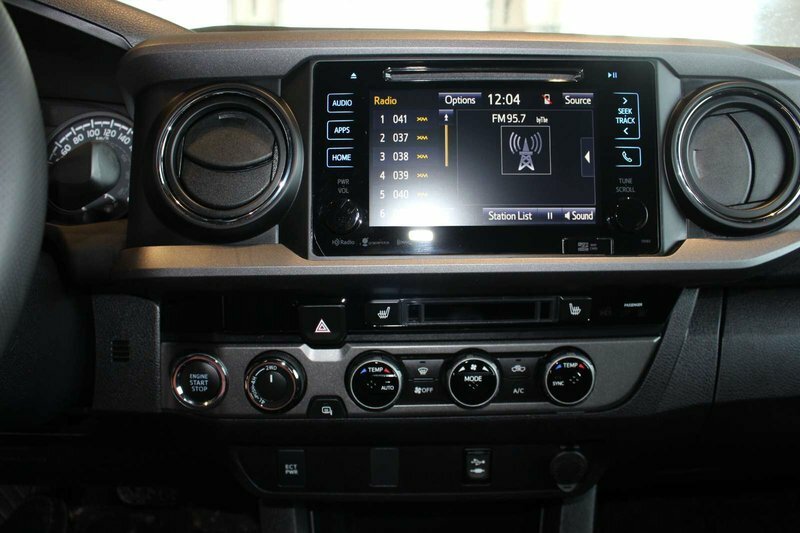 Staying connected is a breeze with Premium Audio with integrated Navigation and App suite, a prominent media display, impressive audio and Qi-compatible wireless smartphone charging.